Dip. Bot .Med., Dip. Nut. DH – Natural Medicine Clinic is committed to providing exceptional health care service in a welcoming, relaxed, caring and professional manner. Our Clinic’s reputation is based on integrity, quality of service, commitment and a thorough approach to our client’s medical condition. These include of alternative therapies such as herbal medicine, Metatron NLS Health Check, Specialised Test, Theta Healing, Reiki therapy, iridology, and nutritional and dietary advice. This is done in a gentle and non-invasive way with no side effects with use of sound scientific and clinical research of leading Australian herbal and supplements manufacturing companies. 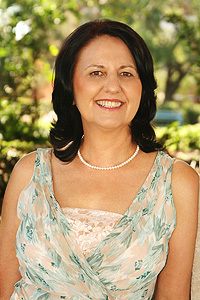 Danuta Hulajko founded the DH – Natural Medicine Clinic in 2000. She uses her multidisciplinary knowledge, experience and scientific diagnostic tools in conjunction with natural medicine. The holistic approach of an alternative medicine is well adopted in my clinic. This means that a herbalist treats the whole person not a disease. Thus the herbalist uses the whole plant and not an isolated constituent. A detailed client case history shall be taken including an assessment of diet, lifestyle and emotional and other factors influencing patient’s condition. Subsequently, a diagnosis is made. A herbalist is treating not only the symptoms but also the underlying causes. This means, that a herbalist is assisting the patient to remove influencing other factors in order to attempt to restore health and vitality. According to practitioner’s assessment, a herbal formula will be dispensed. It will usually consists of 4-6 herbs given in a liquid form, as liquid is easily absorbed. If patient has difficulties taking liquid extracts tables or capsules can be prescribed. Every patient is prescribed an individual formula which is adjusted at follow-up consultation. If necessary, nutritional supplements are recommended. Specialised test- Reveals valuable information about the body function, particularly digestive and immune system. Hair mineral analyses Indicates the level of the minerals and toxins in the body. Intestinal permeability test Assisting in the treatment of food allergies and inflammatory bowel disease. Helicobacter pylori test Common pathogen implicated in gastrointestinal diseases, including stomach ulcers. The biggest satisfaction I get is when I see my clients reaching the stage where they are symptom free and they are taking control of their lives again.